It’s little wonder that the Singapore government is stepping up its efforts to boost an active lifestyle among local professionals. This is mainly because the lifestyle habits of working men and women in Singapore are, perhaps, leaving much to be desired. In fact, a recent survey conducted by Herbalife revealed that 29% of local professionals are taking their lunch breaks at their desks four to five times a week. This percentage was almost twice than the Asia Pacific average (15%). 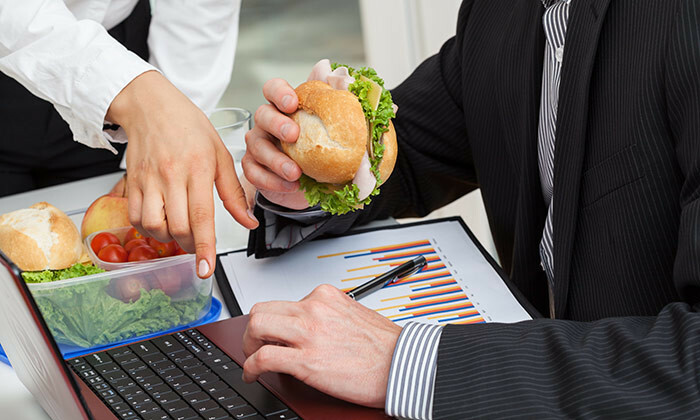 Comparatively, 34% of Hong Kong professionals stated they eat at their desk four to five times a week, while those in Malaysia followed at 22%. Indonesia had the highest number of workers eating at their desks, with 71% having lunch at their desk two to five times per week. The survey, which polled 5,500 full-time workers across 11 Asia-Pacific markets, highlighted women in Singapore, specifically, have lunch more often at their desks as compared to their male counterparts. 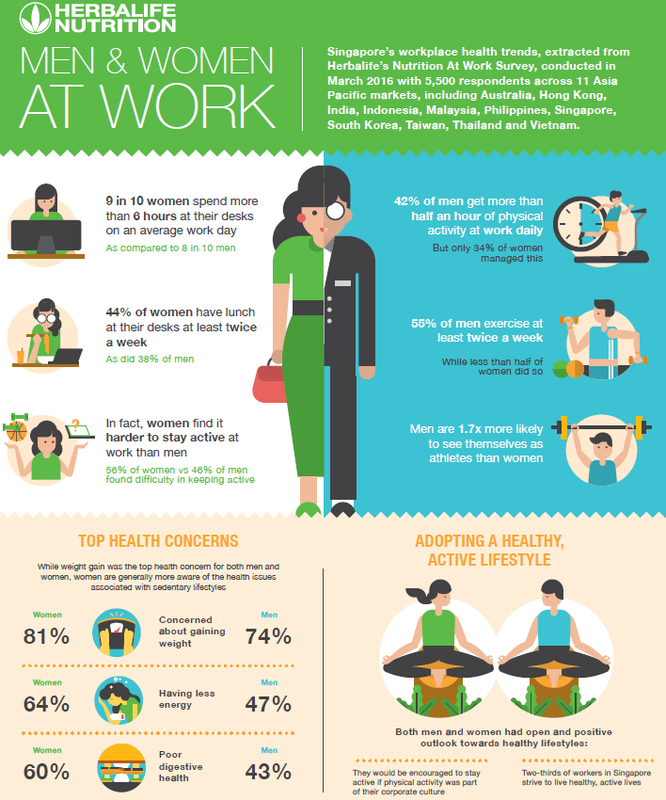 Almost half (44%) of women stated their afternoon meal takes place on their workplace desk – 6% higher than the percentage of men who concurred. ALSO READ: Is staff health only a ‘tick-in-the-box’ priority for Singapore firms? It added women, in fact, spend a longer time at their desks as compared to men. Almost seven in 10 (66%) of women stated they spend between 6-9 hours sitting at their desks on an average workday – 4% more than the percentage of men. Dr Luigi Gratton, vice president of Worldwide Nutrition Education and Development, Herbalife told Human Resources that a possible cause for the high number of professionals spending more time at the workplace is limited manpower. “Many businesses nowadays are striving for increased efficiency. Corporations are downsizing, looking to have fewer employees while still maximising their output. Hence, most companies these days are understaffed, resulting in longer working hours for all with less time to take breaks and relax,” he said. Overall, however, 64% of locals spend the same number of hours at their desks, only slightly lower than the APAC average of 62%. More than seven out of 10 (72%) of professionals in Hong Kong stated six to nine hours of their weekday is spent at their desks, while 66% of their counterparts in Singapore stated the same. “Singapore workers tend to lead largely sedentary lifestyles, though they still understand the need to step away from their desks to engage in physical activity,” the survey stated. Are you boring candidates to death with routine questions? Further, effective 1 January this year, first-time mothers will have the flexibility to start their leave as early as 30 days befo.. The Ministry of Manpower (MOM) is looking into providing a new avenue for workers to air their grievances not currently covered un..
"To me, training is like performing arts. I enjoy the spotlight of getting on stage," said Chong. ..